The gym and I have not been as good a friends this year as we have been in the past. By the time I’m done with work and school for the day I’m so tired that I’ve been letting my workouts fall by the wayside. 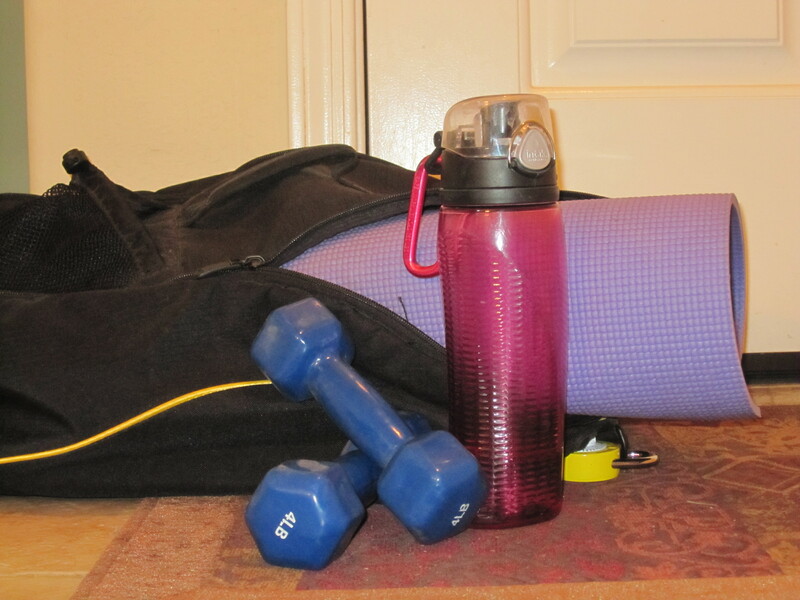 Because of my recent fitness slacking, I was particularly proud of myself the other day when I took my gym bag to work with me and vowed to put in at least 30 minutes of cardio before coming home. I was so proud of myself that I even called my health-nut sister to tell her I was going to exercise! Just Do It. Wow, someone should use that as a company slogan. I have been thinking about my sister’s comment all week. Don’t we all have things we want to do but never seem to have the time or energy for? What if we stopped making excuses and made time for the things that are important to us? I can count on one hand the number of times I have bounded out of bed at 5am with the energy to go to work, but I go anyways, putting on a smile and faking energy until I have my morning cup of coffee and the adrenaline of the day kicks in. This week, I challenge you to make time for something meaningful that you never think you have the time or energy for. Since talking to my sister, I have found the energy to go to the gym two more times and I feel so empowered. Remember- you control your schedule, no one else and you decide if something is worth your time. Stop making excuses and start making time for things that are important to you. Emily, thank you for the story and the motivation. My wife and I use that same excuse everyday…. I just don’t have the energy or a I am, too tired! No more excuses! We are going to “Just Do It!” Starting Tuesday… hahaha! One more excuse, I promise (it’s Memorial Day! Time for some R & R).